The final day. 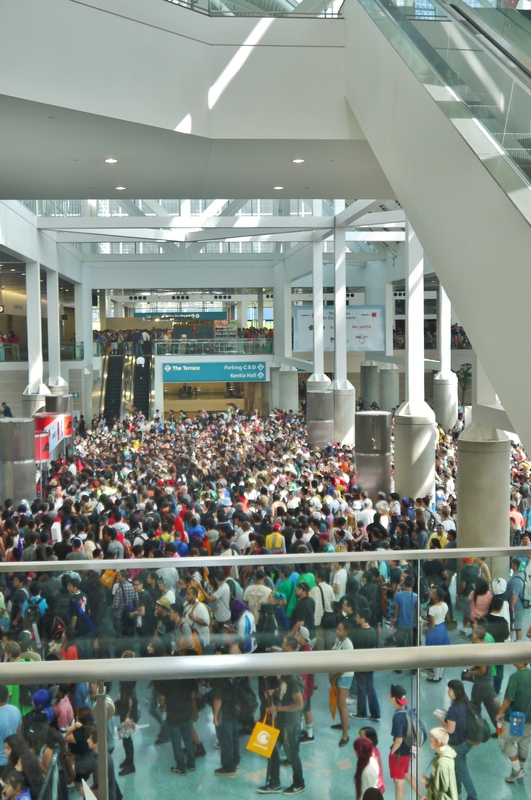 Anime Expo 2014 is just about done, we’ve waited a year for this since last July and now it’s about to pass. 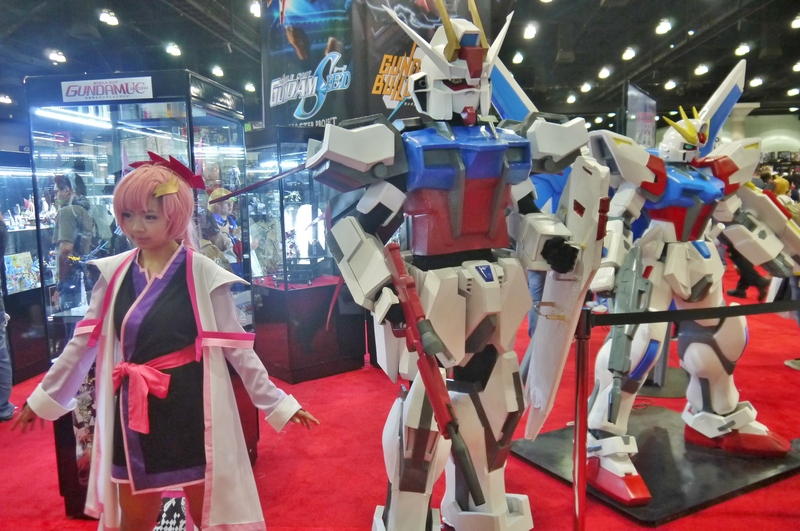 The last day is always a half day; the Exhibit Hall closes at 3PM and the attendance dwindles a bit, along with the amount of panels and exhibits. As surreal as the experience has been, we didn’t forget about our chance to finally grab a good load of merch today, since Day 4 is prime time for that. Usually the good stuff is all sold out and we’re left with the leftover goods, but hey ‘most everything is on sale so if we do find something nice, we won’t have to bust our wallets for it. My comrade of course isn’t suited up today; the armor is pretty much dead and gone at this point. I, however, didn’t see any harm in being Zero one last time for this year. Not gonna lie, I was actually kind of surprised at the amount of people that still showed up. I’ve never been here on Day 4 before, but I imagine for most people the fun would be over. While the there certainly isn’t nearly as much as the previous few days, there’s still plenty milling about. Right before heading in, met one of my better halves. Damn this guy knows how to do the hand. And another! This one was taken from my phone, so excuse the quality. So upon going in, I started scoping out some pla prices. Gunpla doesn’t sell out quite the same way an exclusive, expensive statue does, so I was never worried about losing the kits I wanted. 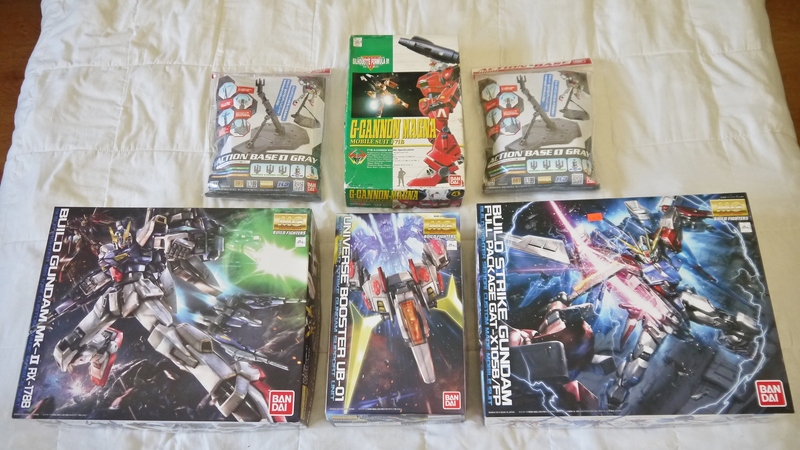 I had already bought a MG Build Strike and Universe Booster earlier on Day 2, today I was hunting for a good ‘ol Build Mk. II. Strangely enough, one of the kits I’ve been hunting for, the MG Sengoku Astray, was nowhere to be found in the entire Exhibit Hall. 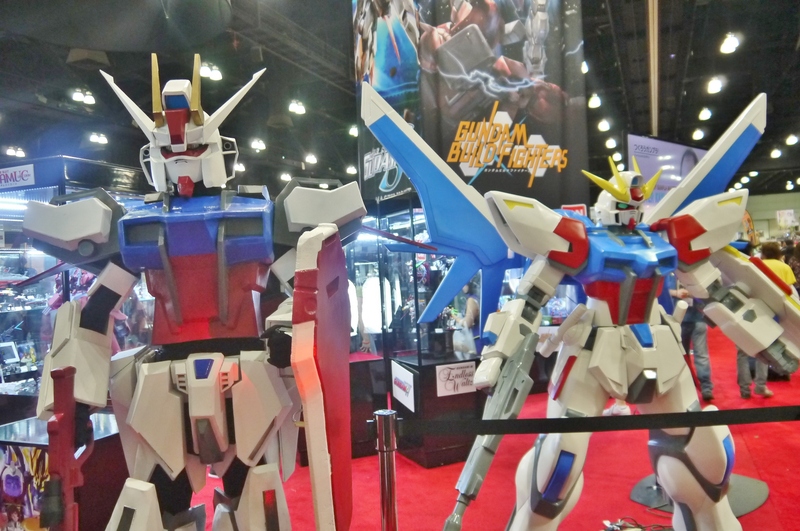 Nobody had it in stock, not even the official Bandai booth. Weird, I didn’t think it was that popular of a kit. Looking around at some other price tags, this one made me laugh. 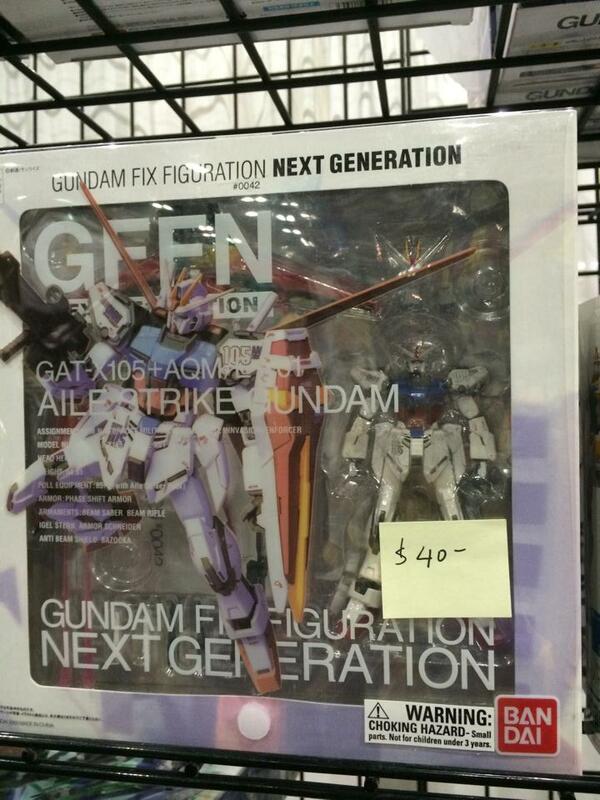 These guys are selling this GFFN for $40 while I saw another vendor pricing it at $80. It actually was worth $80 when it first came out (what I paid for it) but it’s clearly become so unpopular that it won’t even sell at half price. I’ve tried to sell my own for $80 on eBay for a while, and still nobody has taken it up. Guess I should learn from these prices. I’ve been hunting around for a Monokuma, either a plush or the Nendoroid, but both were too much for me to really justify throwing cash at. While the plush did plunge down to a flat $20 on sale from the original $30 – $35, I wasn’t really willing to draw from my bank when I only had $15 on me. This one also made me laugh. Never before have I seen such a clear discrepancy between the pricing of a lead mecha versus your average cannon fodder grunt. 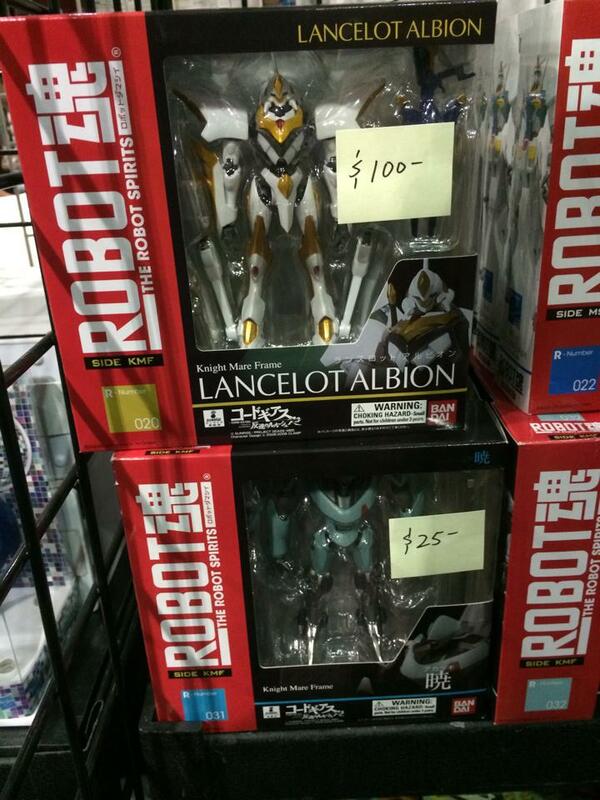 I would almost pay $25 for the Gekka, but $100 for a Lancelot Albion is a joke. I guess the Albion is four times more superior to the Gekka? 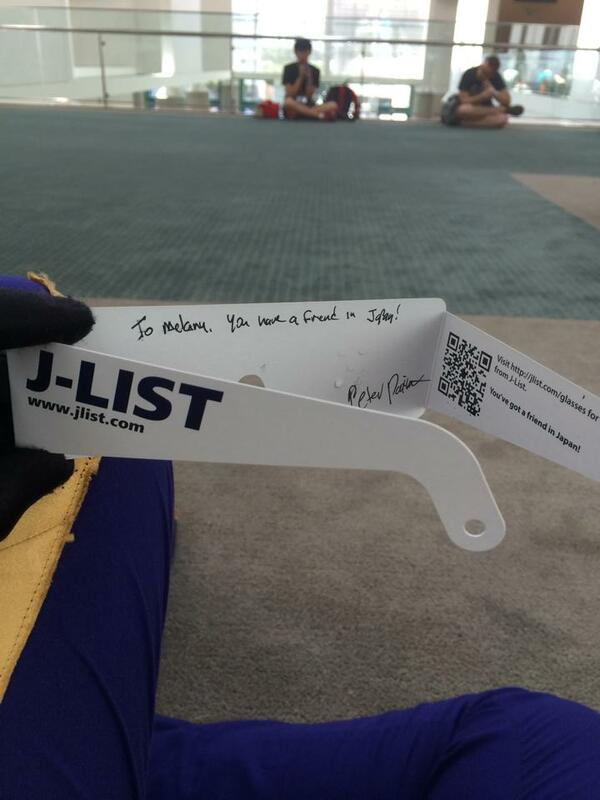 I also had to run a little errand in the Exhibit Hall today for the girlfriend – she apparently worships J-List, loves their stuff, and loves their founder, Peter Paine. Upon passing their booth, I received some free Steins;Gate animu eyes they were handing out, and had Mr. Paine himself autograph it real quick. I have to say I was surprised he agreed and personalized it to boot; very kind of the man. 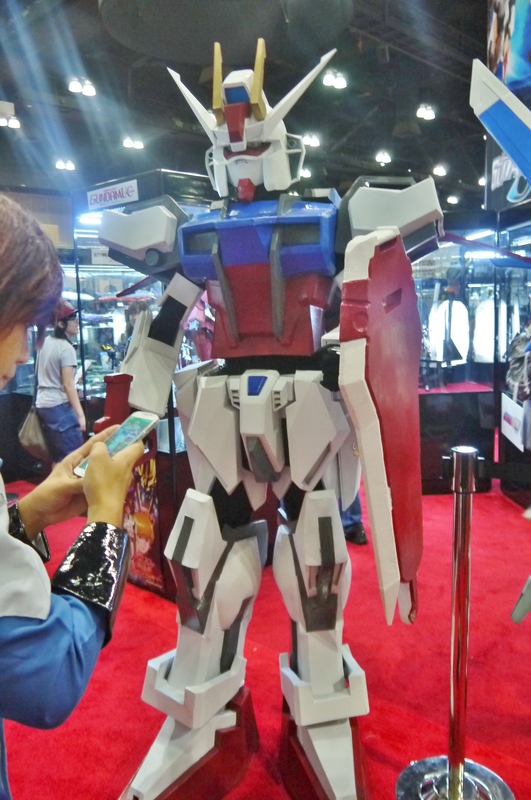 Some cosplay and coverage of the Exhibit Hall. Still very packed and lively despite the mere five hour open time. These guys. 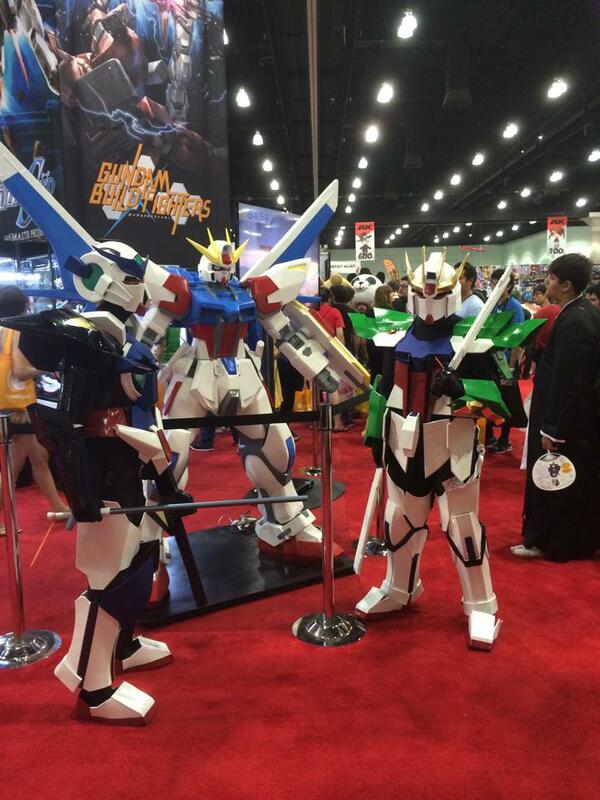 As far as Gundam armor goes, these guys were pretty dang amazing. Doing Build Fighters is one thing, but doing the kitbashed Build Fighters battle damaged suits is another. 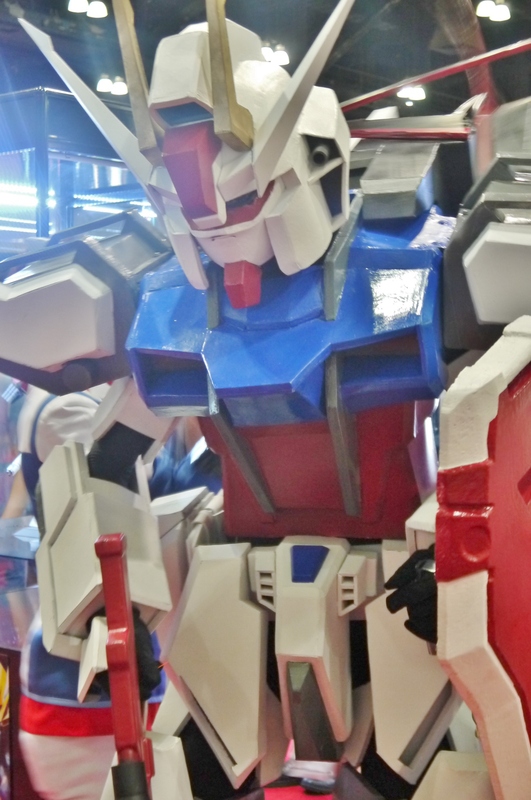 I can’t believe the Build Strike with Fenice Arms and Crossbone guns actually exists as a cosplay. Most well done. And then..there was this guy. 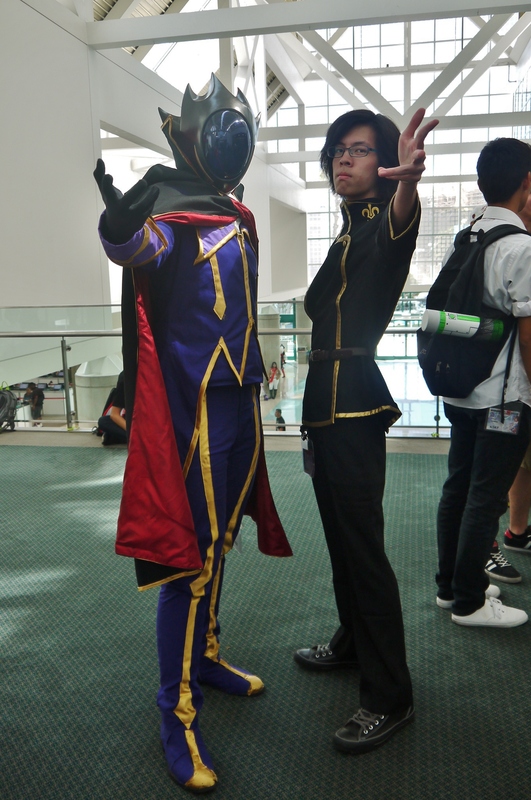 I’m pretty sure he takes the cake on Gundam cosplay this year at AX. 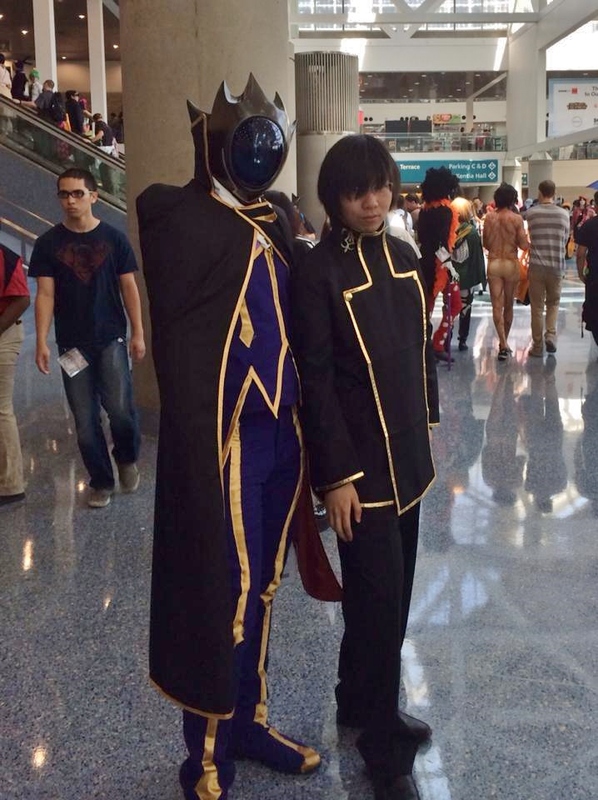 Rocking the Aile Strike suit, I don’t even know what his armor was made out of. It looks uncannily clean and fine cut; like those details on the skirt and arms – how do you even. He stood a good seven or eight feet tall, with the same type of platform shoes that my partner and I used for Operation: NT-D. For some reason the beam rifle is red instead of gray, and the shield doesn’t appear to be complete, but damn it doesn’t even matter when the suit itself is so well done. He also has an Aile Pack tacked onto his back, and when we first saw him it seemed that he was having some trouble with loose thrusters and wings. 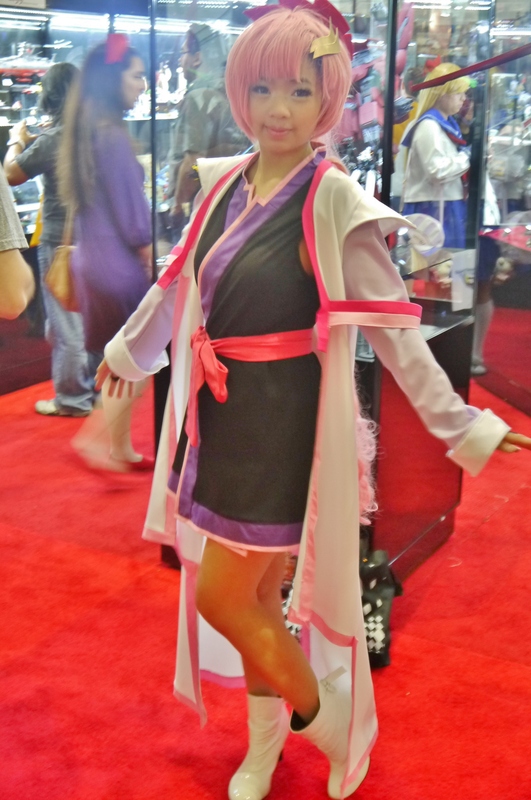 He also had a Lacus and a Kira with him (the latter not pictured). Damn these guys were ballin’ so hard. Next to the 1/10 Build Strike. They probably even have Armor Schneiders in the skirts. 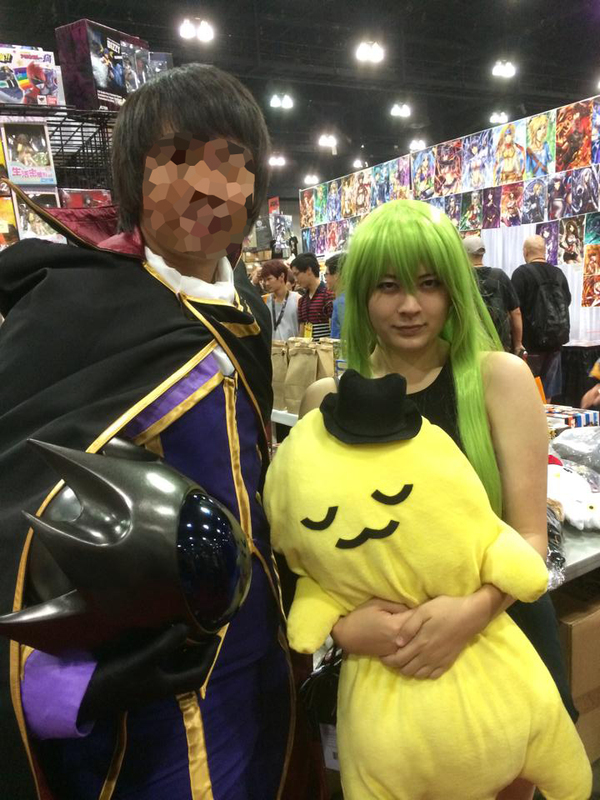 Also met another C.C. in the Exhibit Hall, complete with complimentary Cheese-kun. I saw someone at Artist Alley actually selling these plushes, but of course I didn’t have enough dough left for one…and seeing a Zero carrying a Cheese-kun around might be a bit strange. 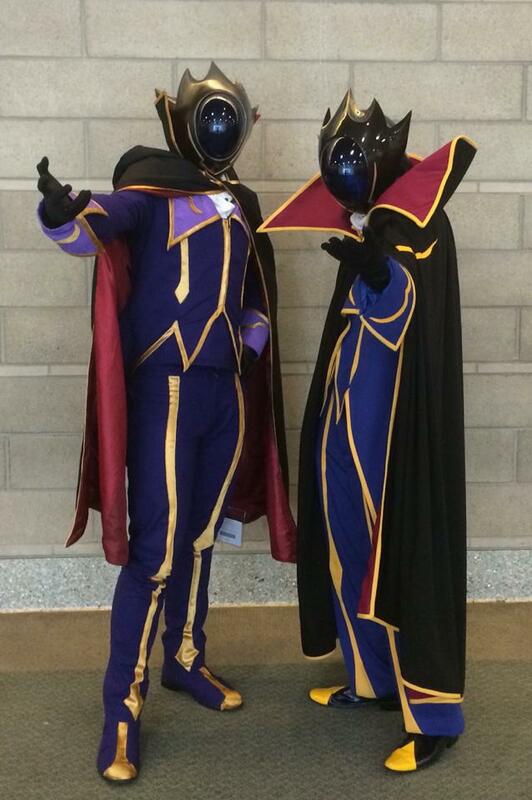 More cosplay for you. This Justin Bailey Samus though. Props, most well done. 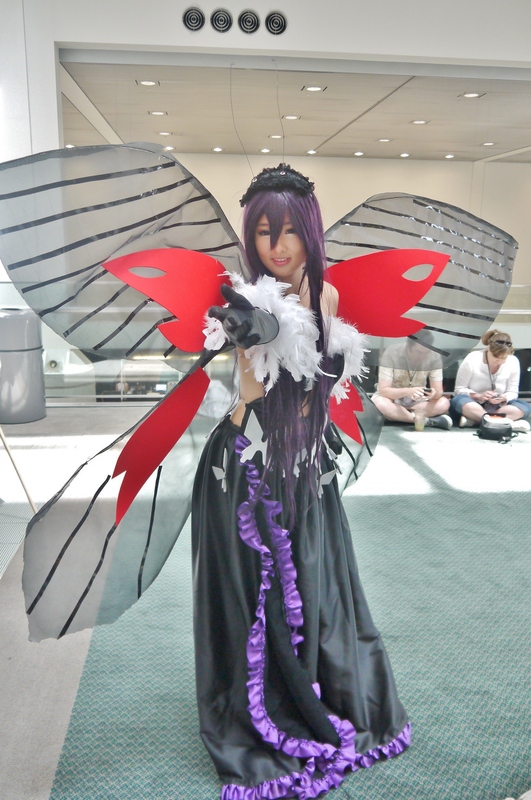 And a Kuroyukihime! 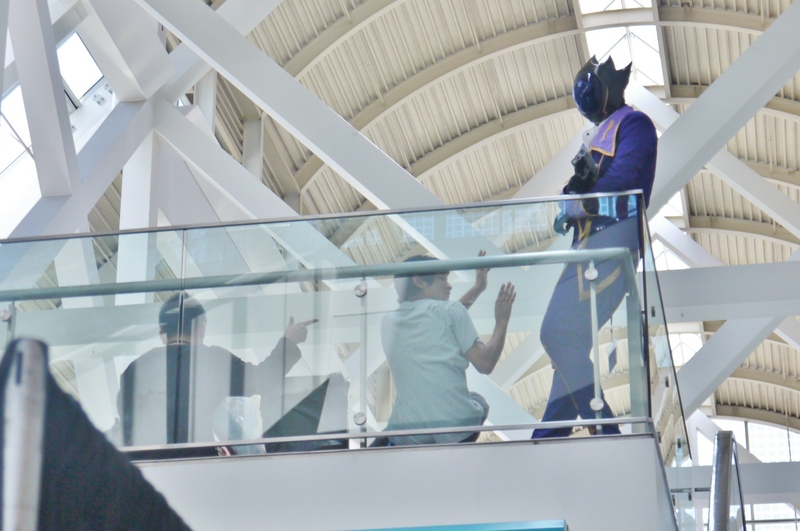 Not enough Accel World cosplay at this ‘con, it made me sad. Good to see it’s still alive somewhere though. After the Exhibit Hall had shut down for good, we reconvened at our usual meeting area to assess our goods. ‘Most everyone opened theirs right away for some test play; I actually didn’t buy any statues or figures this year, most proud of that fact. Our group haul on Day 4. 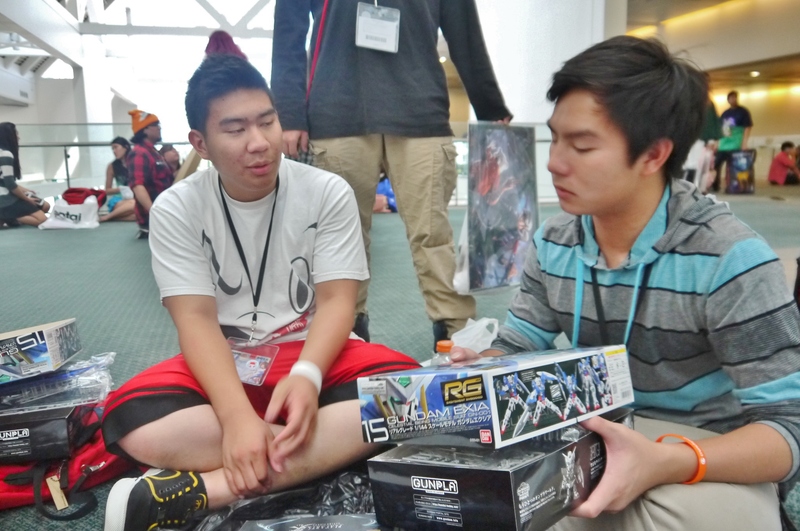 There were actually two RG Exias in the stash, I dunno what happened to the second one in this shot. 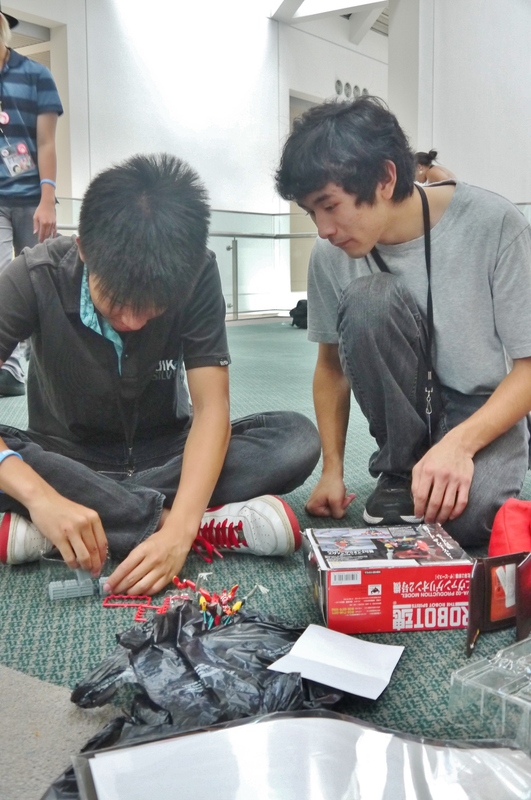 As shown, most of it consists of model kits, with several of our other buddies giving a shot at their first real Gunpla. 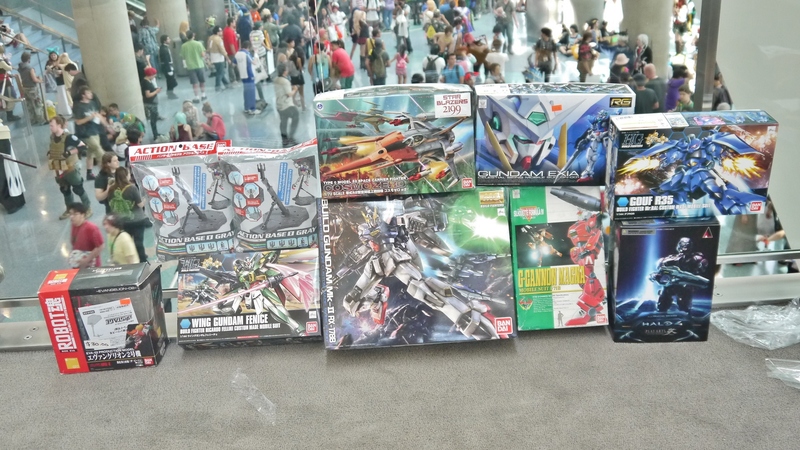 My total haul at the Expo this year. This is extraordinarily tame compared to what I usually throw down for – unfortunately (or perhaps fortunately?) I had a very tight cap on my cash this year. Usually I have almost $500 to throw around, though this time I think I spent a total around $130. Quite the incredible downscale, but I’m okay with it. The only thing I wanted that I didn’t get was a MG Sengoku Astray, but that was because it legitimately wasn’t even in stock. Beyond the obvious Build Fighter Master Grades, that G-Cannon Magna is an old 1/100 kit of an obscure F91-generation suit from back in 1994 or something like that. It’s missing instructions but pretty much new in box, and I managed to snag it for $5. A fair purchase, methinks. Meanwhile my MG Jesta cries because it’s literally been a year since I bought it and it hasn’t been built yet. 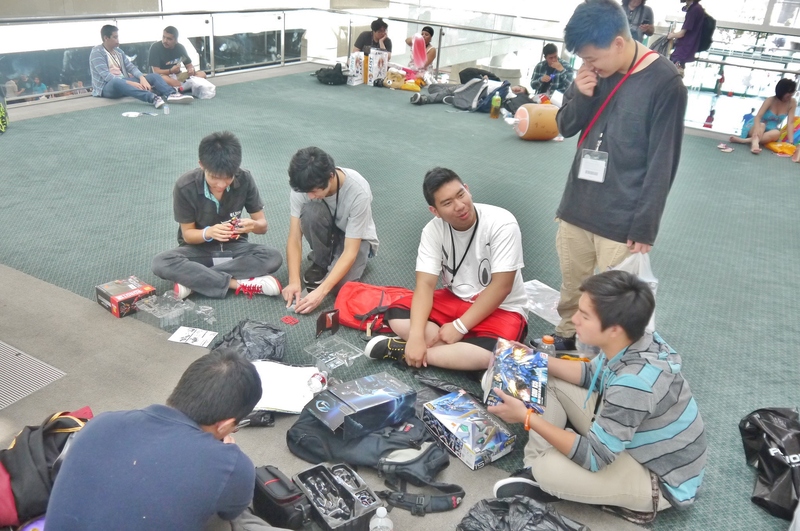 I bought this thing at Anime Expo last year…goes to show how backlogged I’ve been with my kits. 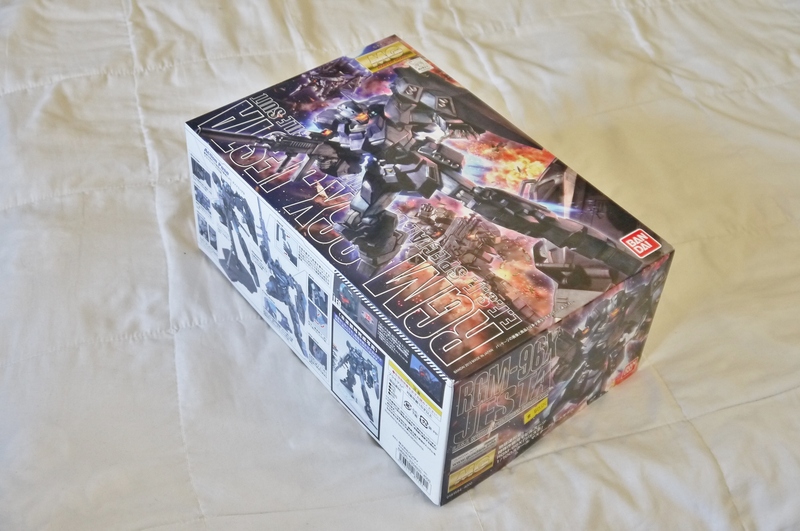 Worst part is, I’m not even really in the mood to build this thing, I might just do Build Strike first. I think it’s the dark plastic that’s turning me off from it; I really don’t want to deal with that stuff. So that’s it. 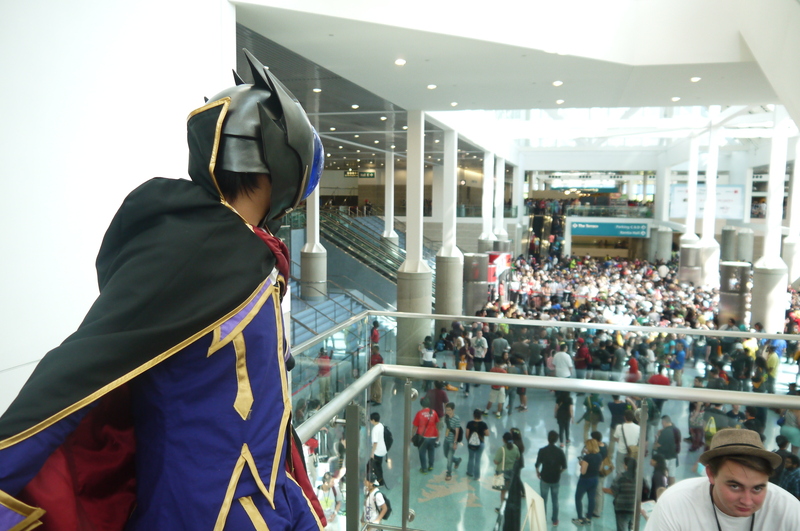 Anime Expo is over, we had our four days of fun. Time to return to normal living, but the experience was worth living while it lasted. Starting a new countdown to next year already, hopefully it’ll be even more of a blast. 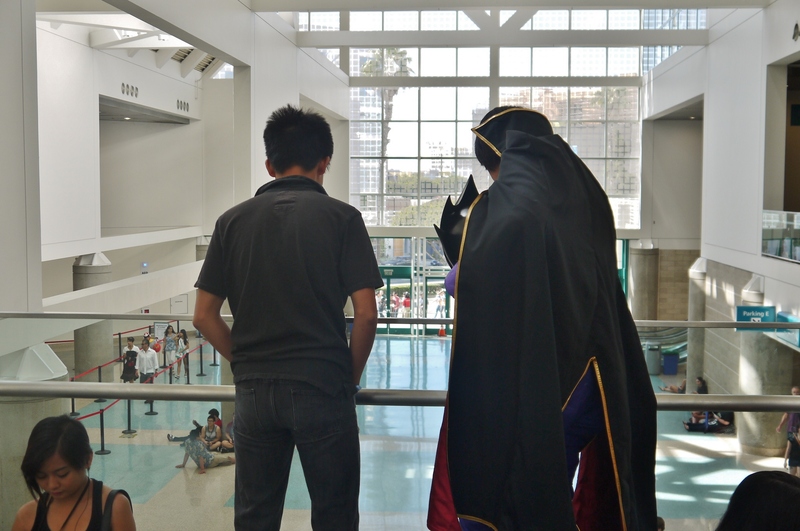 Admittedly we didn’t even attend many panels or exhibits (only one for that matter) but just being there in a sea of anime, cosplay, merch, and what we find awesome was worthwhile enough.